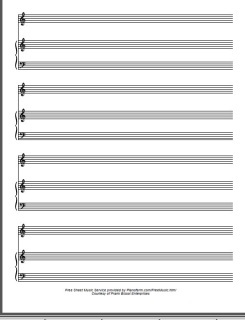 Free PDF file of a Piano Score and Choir score. For Choir directors. 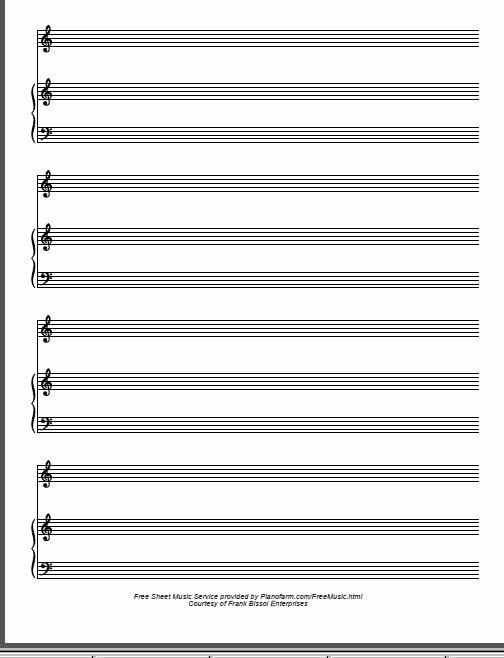 Handy little file for those who write choir music. 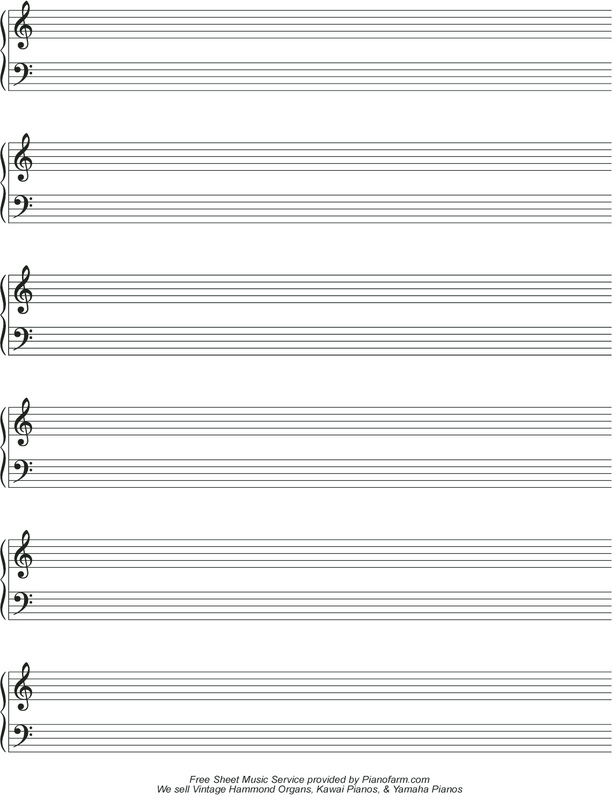 Made these on my engraving program and use them all the time when I am writing a song, sketching out musical ideas. Thought I would share them with clients and fellow musicians. 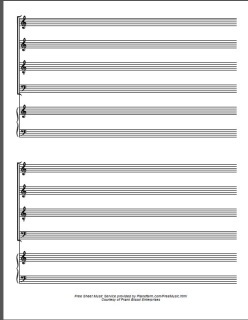 I have all kind of formats this is one I often use when writing music for our church choir. I keep the folder on my desktop because I am always in need of scrap staff music paper. 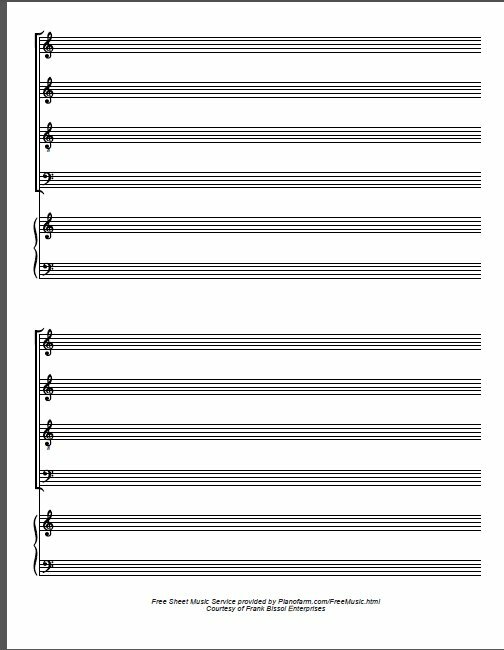 With all the digital music notation software out there I have found there still is not substitute for pencil and paper. You might want to check out the SCORE-WRITER program. 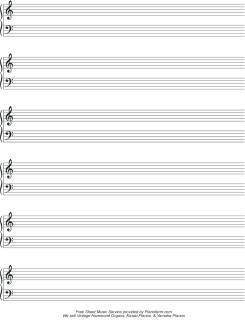 I often use this program to sketch out ideas also and then take these ideas to a serious engraving program like Score, Finale, or Sibelius. . Download them and keep them in a convenient folder to print out when you need to print out some notepad manuscript paper. Through the years we have written a lot of gospel music that we freely make available to churches. If you could use this music for your church ministry you are welcome to avail yourself of this resource at the link below. Click here to go to our FreeScriptureSongs.com page .